You know how it is; you want to do the right thing and eat healthy (or at least try to eat “healthier”), get some exercise, and develop some better habits, such as getting more sleep. But sometimes, what we think is a healthy choice, actually isn’t. While choosing between broccoli and French fries is fairly obvious, many people believe just about any health headline that tends to cross their Facebook feed. Lemon water in the morning improves digestion, the alkaline diet stops cancer, dangerous fluoride in your water will calcify your brain….how many of you reading this believe that those items are true? They aren’t. Want to know the top 10 “health” habits that aren’t? Keep reading, you might be in for a shock! 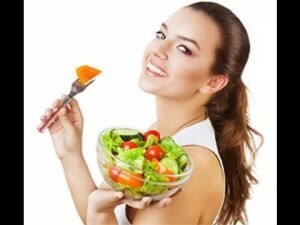 One of the quickest ways to improve your health and cut calories is a good old fashioned salad for lunch or dinner. Unfortunately, many people use a low fat dressing or simply sprinkle lemon juice over their greens, thinking this makes their salad “better”. Your body needs some healthy fats to help absorb all those healthy carotenoids and phytochemicals that you are eating that salad for to begin with! The trick is to choose the right dressing. Pick one that is made with monounsaturated fat, such as olive oil, which improves the body’s absorption of antioxidants. Balsamic vinegar and olive oil dressing? Now that is a winning combination that is truly healthy. We are certainly not disputing that excessive exposure to sunlight can cause premature aging of the skin, sunburns that can cause skin cancer later on, as well as increasing the risk of skin cancer later in life. All those things are a given! However, did you know that by completely avoiding the sunlight is just as unhealthy as getting too much sun? As with many things in life, moderation is the key. Sunlight on our skin fosters the absorption of calcium into the bones, makes bones stronger overall, reduces the risk of depression, and much more. Very few foods contain vitamin D and supplements are synthetic, therefore, not as easily absorbed and used by the body. Unless you live in a location where sunlight is hard to come by, aim to get at least 15 minutes of direct sunlight almost every day in the hot summer months, and as much as 30 minutes in the winter. 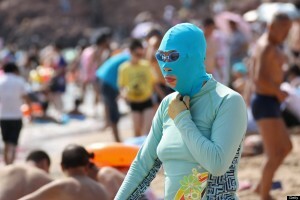 Afterwards, be sure to apply sunscreen or cover up. Many people believe that when they skimp on sleep during the week to catch the latest Orange is the New Black season or burning the midnight oil at work, they can just “catch up” on any missed sleep by sleeping longer on the weekends. As if sleep were a bank that you can add or subtract hours of sleep. While sleeping till noon on Sunday will make you feel better, it doesn’t cancel out your sleep debt, so to speak. Chronic sleep deprivation can lead to long term and serious health problem later on. You can give your body the time it needs to make repairs and make new cells (such as brain cells), and hormones by adding one hour of sleep each night, but doing so one or two days a week is not enough. You would need to add an hour each night for several weeks to cancel out your sleep “debt.” The best way to avoid all this is to simply keep a regular sleep schedule, which includes 7 to 9 hours each night, as much as possible. You would think that by skipping that Kit Kat bar and eating a protein bar or some granola you would get some credit for eating healthy, right? Granola and protein bars, in general, are calorie dense, with many of these calories coming from added sugar. Oh, yes, it said “honey” on the label, right? It’s still sugar, honey, no matter what they call it. Choose a high protein snack, such as pumpkin seeds, celery sticks with peanut butter, or a handful of almonds in some Greek yogurt, if you really want to eat a better for your health snack. Most times, this is just a sales pitch. Numerous studies have found that taking vitamins in a pill form have little or no effect (a positive effect at least) on long term health. A few studies, in fact, have linked the long term consumption of multivitamins to cancer. The truth is that most people get all the vitamins they need from their diet, unless you are living on fast food. Talk to your doctor to see if any of the vitamins or supplements you are considering are necessary. You know what we are talking about here; those little 12 or 24 ounce plastic bottles of water they sell for $2 to $4 a pop. Think that’s better than plain old tap water? Unless you live in Flint, Michigan, it probably isn’t. Studies have shown that bottled water is usually nothing more than tap water with the fancy label on it. Those pictures of pretty mountain springs are simply a marketing tool so you don’t find out that some bottled water is just as full of bacteria and chemicals as drinking from a public water fountain. Buy a water filter and take bottled water from home, using your own stainless steel container. They seem like the perfect solution, don’t they? Cheap, convenient, and you know exactly how much fat and calories are in them. What could be better? Most of those frozen diet meals contain tons of artificial colors, flavors, sweeteners, and sodium, but very few vegetables or fruit. You would be far better off to cook a couple of big meals to eat during the week, freeze them, then take them to work and nuke them there. While going to the gym every day certainly gives you an outlet for stress, it’s not always the best thing for the body or mind. Can you actually get too much exercise? When the amount of exercise you get exceeds your body’s ability to recover, then you end up slower and weaker (you also usually end up with injuries and getting more colds or flus). Isn’t this the opposite of why you are going to the gym in the first place? Get at least 2 days of complete rest each week and be sure you hit the dumbbells at least 3 days each week for best results. Fruit juice is sweet and natural, so it has to be a better alternative than soda, right? The sad truth is that many food and beverage companies are less than honest about their products. While they might tell you that their juice si 100% pure, it’s usually pasteurized and stored for long periods of time. This removes most of the healthy goodness that you are drinking fruit juice for. Fruit juice contains no fiber (like the fruit itself does) and is extremely high in sugar, even if the company doesn’t add sugar. A 12 ounce can of Coke has 140 calories and 40 grams of sugar. The same 12 ounce glass of apple juice has 165 calories and 39 grams of sugar. You are far better off eating fresh fruit. Who doesn’t love the creamy, sweet taste of yogurt? Beats the heck out of candy bars or ice cream, right? Like fruit juice, some yogurt brands load up their fruit with added sugar or honey, which can equal as much as 250 calories and 47 grams of sugar. That is more sugar than a Coke and almost twice as many calories. 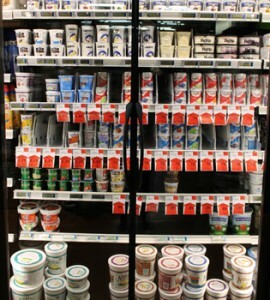 Buy plain Greek yogurt and add a handful of fresh fruit or nuts from your kitchen for a truly healthy snack or dessert.